Hot Toys is going to present a series of 1/6th scale Diecast Collectibles ranging from Iron Man 1, 2 & 3 to The Avengers to fans worldwide! 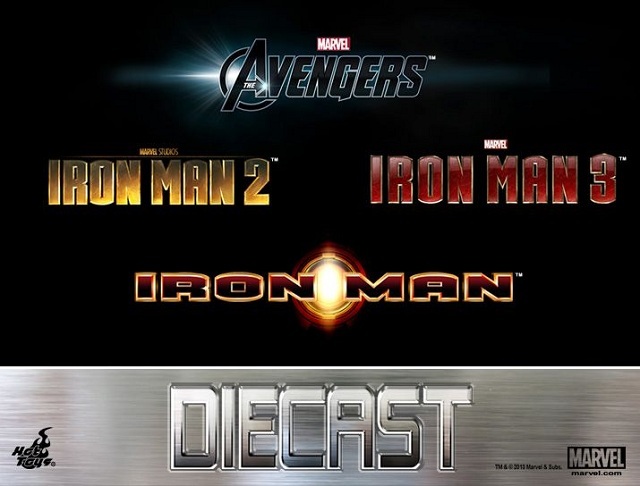 Fans, are you expecting a Diecast Iron Man Mark III, Super Drone (Whiplash Mark II) or any others? A series of Diecast collectibles is coming soon! Stay tuned! AS I LIVE AND BREATH. A while back i teased Jmann about Hot Toys eventually making a Die cast Iron Man figure to follow in the lines of that Die cast Batman (Seriously, Iron Man is the ONLY comic book hero who truly deserves a Die Cast make over) and FINALLY our calls have been answered !! Fellow collectors, hold off on buying any Iron Man figures from Hot Toys until these bad boys come out. This may just be my starting point for buying Hot Toys figures! Seems like a response to Play Imaginative laying the smack down earlier about how they have diecast and Hot Toys doesn't. I can only imagine how expensive this is going to be.